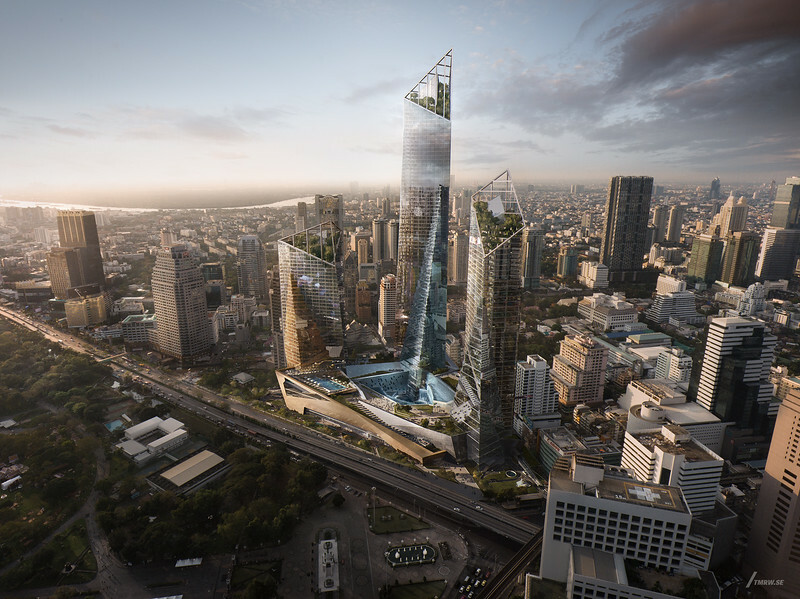 Bangkok is experiencing a building boom that is transforming the ever-evolving city skyline. Bangkok was the most visited city in the world in 2017, which is fuelling new hotel construction. It’s also become a favoured city for international investors to own luxury apartments. Bangkok is also the most primate city in the world (when the largest city in a country is disproportionately larger than any others), which adds to the lopsided amount of investment in the city. This list shows some of the biggest construction projects underway, or that are due to start soon. There are many other apartment projects so I will make a separate post for those in the future. This post doesn’t include transport and infrastructure projects, such as the planned metro and regional railway expansion. I will create another article about the future Bangkok metro. Address: Grand Square, Rama IX Road, Huai Khwang, Bangkok. 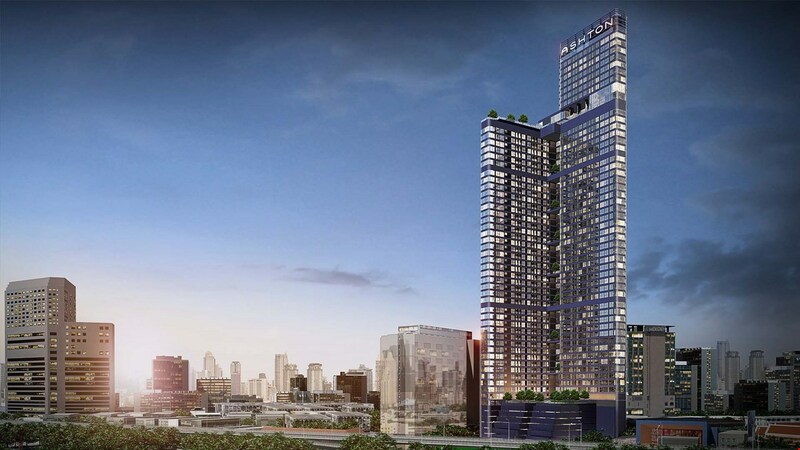 The Grand Rama 9 Tower (formerly known as Rama IX Super Tower) is currently under construction, and at 615 metres it has earned its grand/super tower name. The tower will include office space, a hotel, shopping mall, and observation deck. It’s expected to be completed by 2021, and it will be (by far) the tallest tower in Southeast Asia until the Merdeka PNB 118 in KL is finished in 2024. Address: Wireless, Rama IV, Sathorn road, Bangkok. One Bangkok is the Suan Lum Night Bazaar redevelopment project opposite Lumpini Park. 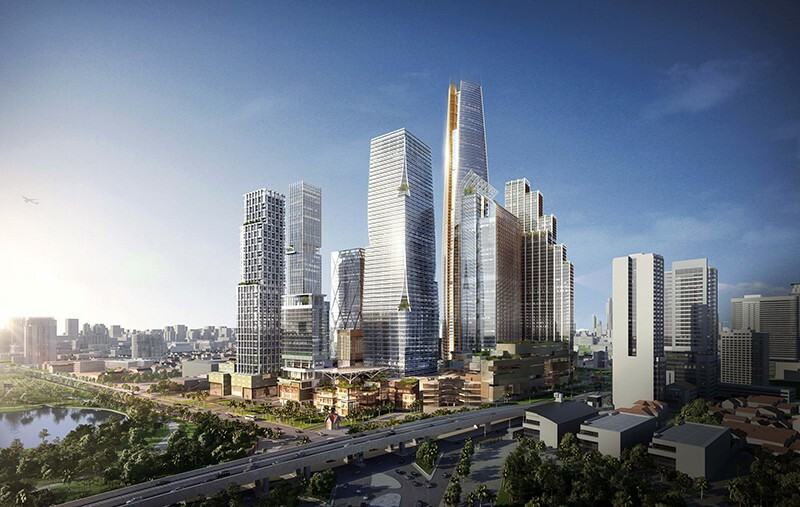 One Bangkok will be a mixed-use development featuring office towers, luxury hotels, luxury condos, and retail spaces. Work has begun and the first section is due to open in 2021, with final completion by 2025. This development is like a fully-formed city within a city. Regular cities don’t even have a downtown as big as this development, and here is Bangkok putting a whole city in a city like it’s no big deal. 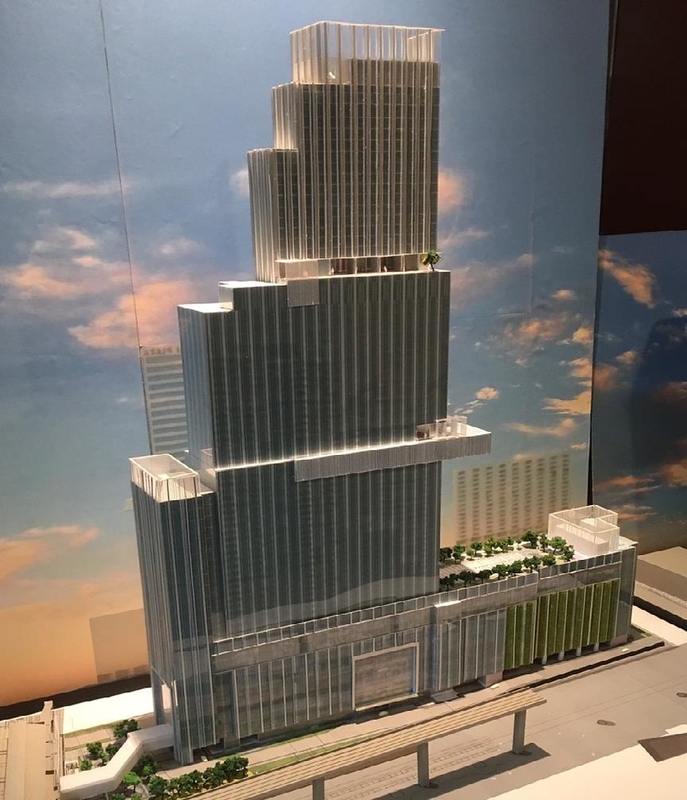 ICONSIAM is a mixed-use development including two malls, hotels and residences. The complex is on the banks of the Chao Phraya River, and the towers will briefly hold the record of the tallest buildings in Bangkok. The complex includes the Magnolias Waterfront Residences and the Mandarin Oriental Residences (which is nearly opposite the Mandarin Oriental Hotel). ICONSIAM is expected to be finished in 2018, and who knows, maybe it will herald the beginning of making the other side of the river cool. 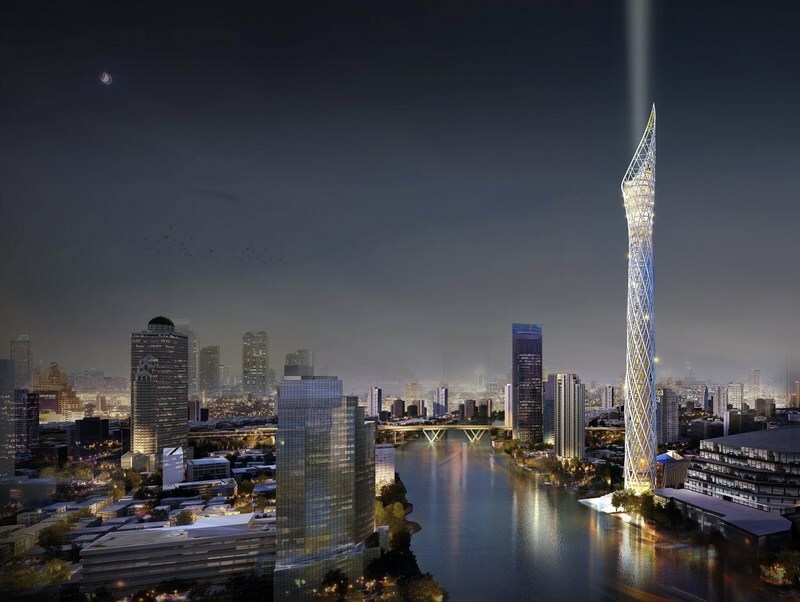 The Bangkok Observation Tower is a 459-metre-high tower on the banks of Chao Phraya River. The tower is being built purely as an observation tower with no commercial space for rent inside the tower. It’s expected to be completed by 2019. Address: Rama IV Road, Silom. 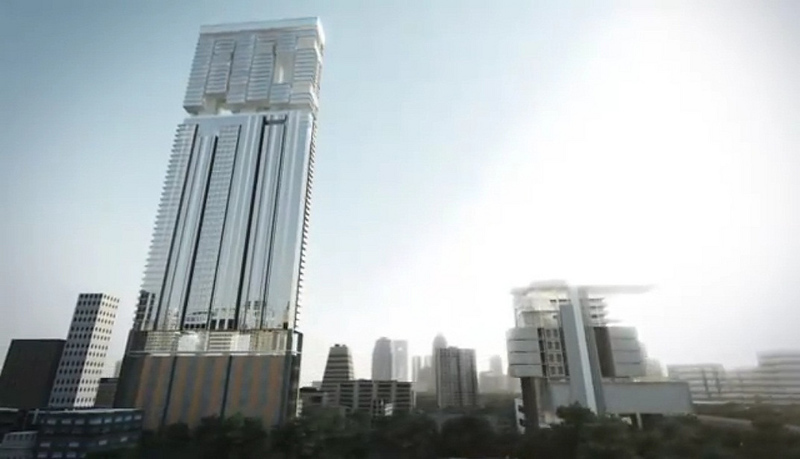 Dusit Central Park is a planned mixed use development featuring three-towers of 78, 46, and 40 storeys. The site is at the historic Dusit Thani Hotel next to the Silom BTS/MRT interchange, opposite Lumpini Park. The hotel will remain open until January 2019, so expect work to begin soon after. Address: Charoen Krung 62, Bangkok. 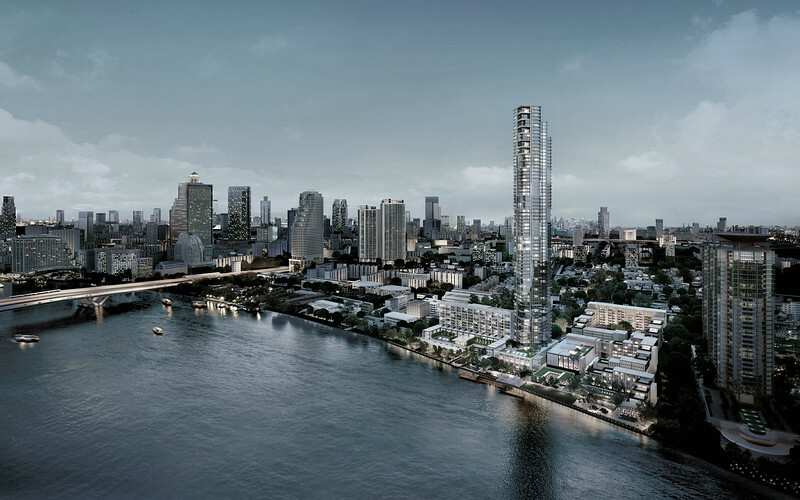 Four Seasons Hotel and Private Residences and Capella Hotel covers over 14 acres on the Chao Phraya riverfront. 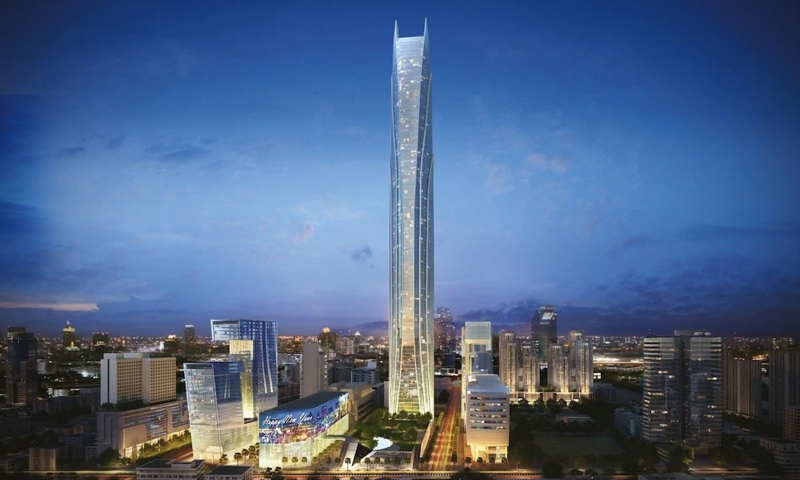 It features two luxury hotels and a landmark ultra-luxury 73 storey residential tower. 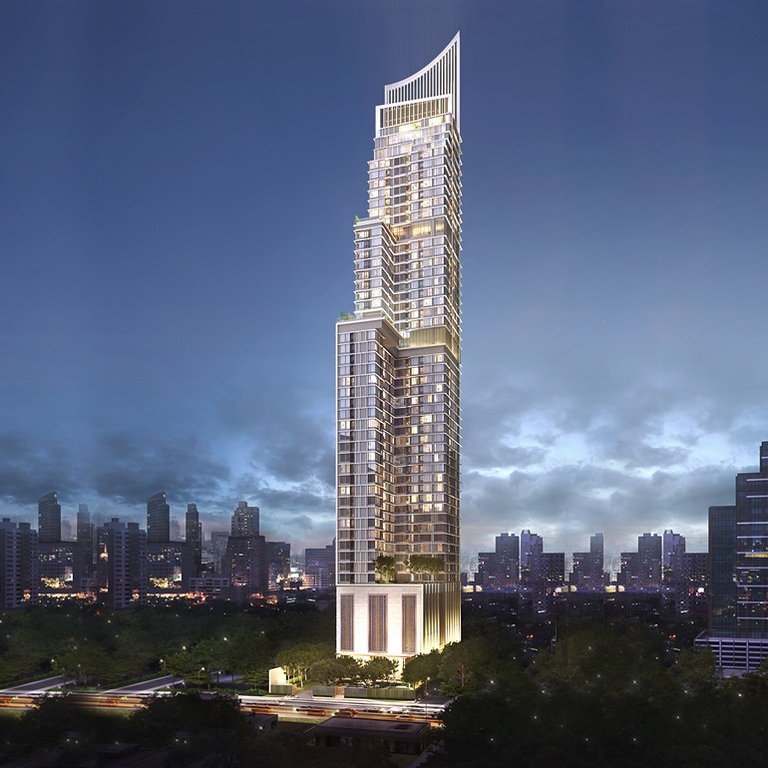 Areeya (or Soontareeya) is the planned AUA (American University Alumni) site redevelopment on Ratchadamri Road. The plot is a long and skinny block of land next to the American Embassy grounds. It was proposed in 2010 but so far the block remains empty. It was originally planned at 55 Storey-345 M, which would have made it the tallest skyscraper in Bangkok by now. At this point it’s not clear if the original design and height is final. The Eastin Grand Hotel Phayathai (also listed as Phayathai Complex) is a hotel development next to Phayathai BTS. After years of being on hold the project got underway in 2017. 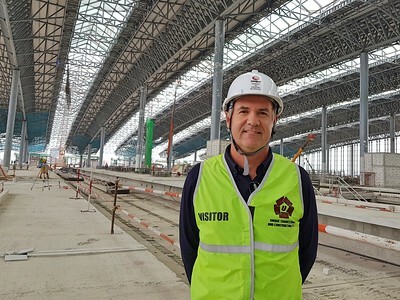 The 55 storey / 239.70 M will be ideally located for airport traffic when the airport train connecting DMK-BKK is operating. Address: Corner Si Lom and Convent Road, Bangkok. Silom Square is the working title for this development on Si Lom Road. The tower will be a mixed-use commercial/office tower, and it is expected to be 240 metres tall. In May, 2018 work began on demolishing the buildings on this block. Address: Corner Si Lom and Rama IV Road, Bangkok. Also on Silom, and not to be confused with the Silom Square project which is next to Silom Complex, is Silom Square. This project is a redevelopment of the current building on this prominent corner that used to be home to a Robinsons. 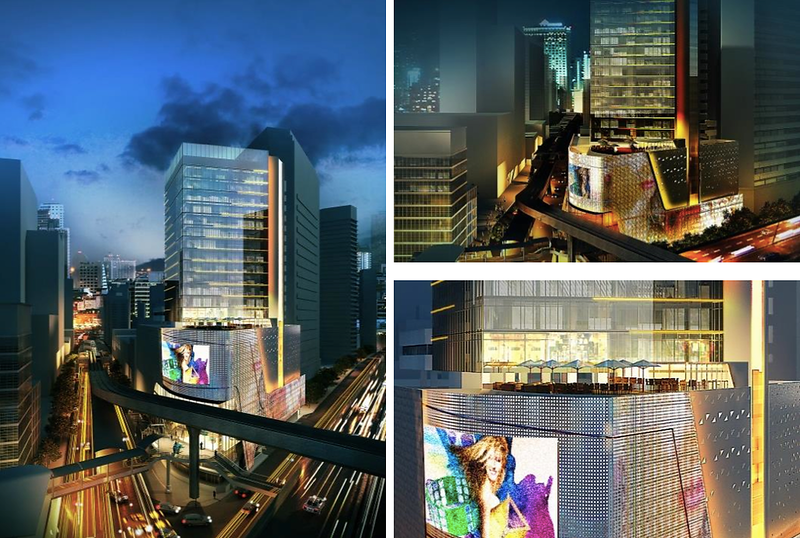 Silom Center will feature a mega-mall and cinema, and be connected to the Sala Daeng BTS walkway. 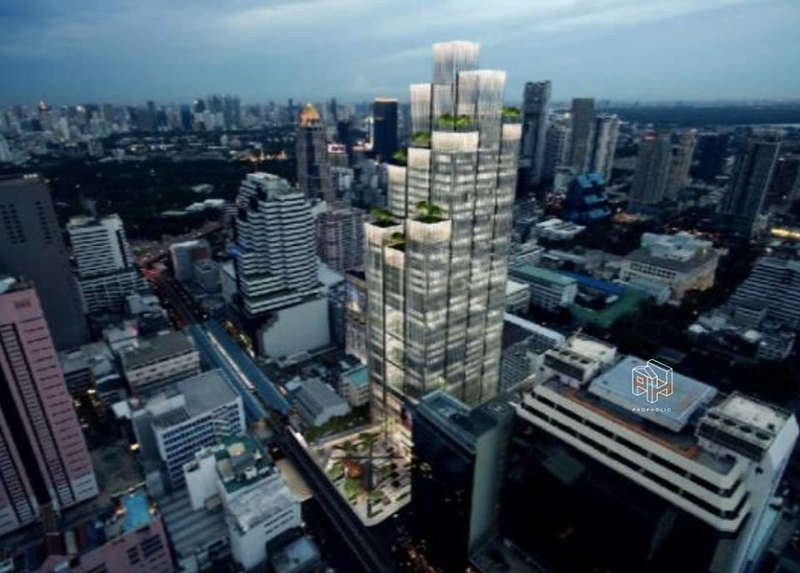 With the proposed redevelopment of the Dusit Thani site on the opposite side of Silom Road, this will transform the entrance to the Silom Road shopping area. One of the biggest projects in the city has been languishing in the “too hard” basket for years, and at this point doesn’t look like starting soon. The Makkasan Complex is on the massive Makkasan Depot area owned by the State Railway of Thailand. This is the big green space next to the Makkasan Station Airport Rail Link. 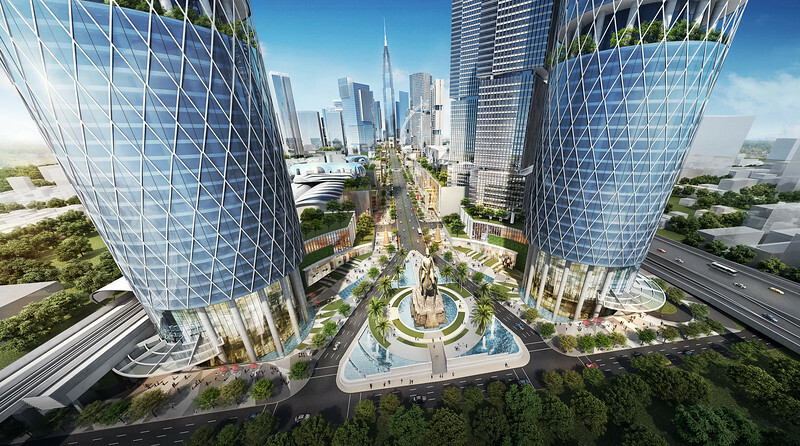 The initial proposal in 2005 had a plan for twin 99 storey towers (Bangkok Towers), along with office and apartment towers, shopping malls, and conference facilities. Since then different renders have surfaced over the years, including a sensible plan to turn the land into a “Central Park” of Bangkok. A park would be a welcome addition to this part of Bangkok (or any part really), but this development has been proposed to pay down debts, and sensible plans don’t pay the bills. 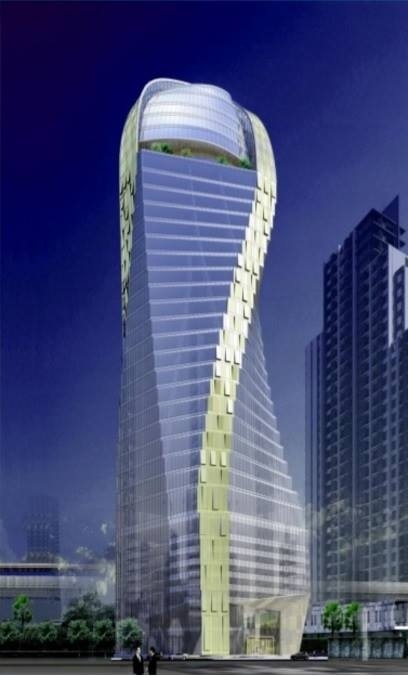 Ichitan Tower is a 42-storey office tower by ICHITAN Group PCL. The Esse Asoke is a 55-storey/254 M tower midway down Sukhumvit 21. Address: Rama IV Road, Silom, Bangkok. Thanks for an excellent detailed explanation of why I won’t go down to BKK for another ten years. The traffic will be beyond human understanding. The city is built on soft marine clay and == I’m happy to add — BKK is sinking fast.